If you are finally looking at buying a new steel building, one of the most vital factors to consider is the project location. Deciding where to place your new steel building is something that must be evaluated carefully. It is equally important as choosing the right materials for your new construction project as it has a direct impact on its expected lifespan and functionality. Your final decision should be carried out with full intent. Steel buildings are pre-engineered to stand the test of time. A lifetime enjoyment of your structure, however, is only possible when steel is used along with a proper location. Simply put, finding the right location for your new steel building is a necessary step to ensure its longevity and to keep you within your budget. Below are some of the most important things to keep in mind when determining the location of your new steel building. The availability of financing. A number of banks and financing options are willing to finance a steel building project. Attaining financing from larger banks and financial institutions, however, are a lot easier in urban areas than in remote rural areas. 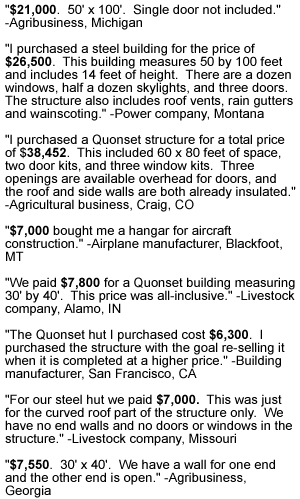 Distance from the manufacturer and possible transportation fees. It would be a great advantage on your end if you choose to buy from a nearby manufacturer or distributor of a new steel building. Aside from you can expect a fast delivery and a more convenient way of transporting the building to the job site, the building will cost less. The costs associated with transportation and labor are higher the farther your manufacturer is from the job site. Usually, a hefty transportation fee is charged for areas outside the manufacturers’ area coverage. Hence, doing your assignment to research steel building manufacturers near you and their truck routes is an imperative step. Be sure to only deal with a reputable manufacturer. Additional labor. As mentioned above, a distant manufacturer may require an additional labor and hence, an increase in the cost of erecting the building. If on a tight budget, check out whether taking a do-it-yourself or asking help from a couple of friends in exchange to free pizza and unlimited drinks are possible to cut labor cost. Cost reduction on labor is necessary as it forms major bulk or around 60 percent of your total cost. On-site location. Aside from evaluating the geographical location of your new steel building, you need to think about its location on the job site itself. You would be having more options where to place your building if you are only looking at using it for storage purposes and would not be needing plumbing or lighting. However, if you would be needing to add plumbing facilities or use electrical lines to the building, it will help cut cost if you would consider placing it closer to an existing structure. Directional exposure. For other structures besides a mere storage space, determining the desired amount of natural light is necessary before deciding on where to place it. You need to consider how the location will have any impact on your new steel building’s exposure to natural elements. For instance, if the desired location experiences severe winter days with a lot of snow and ice, you would need to make sure that your building is not overly shaded by tall buildings or vegetation so that it receives an ample amount of sunshine. This too is necessary to avoid interior leakage and other damage that snow build-ups and ice dams may cause. Having an adequate sunshine also helps in reducing utility cost especially when the new steel building is intended as a living quarter. Furthermore, it ensures your structure will last long as it also keeps you from spending money in expensive weather-related repairs. Zoning ordinance. In most places, zoning ordinances are in place. In order to know whether your planned new steel building complies with the zoning restrictions within your neighborhood, its purpose is a necessary element. Moreover, before you plan on adding any accessory to your structure, it is a smart move to confirm first with a local zoning expert whether your proposed addition meets the zoning restrictions. This can save you money and time. Condition of the soil. Check the integrity of the actual land itself. 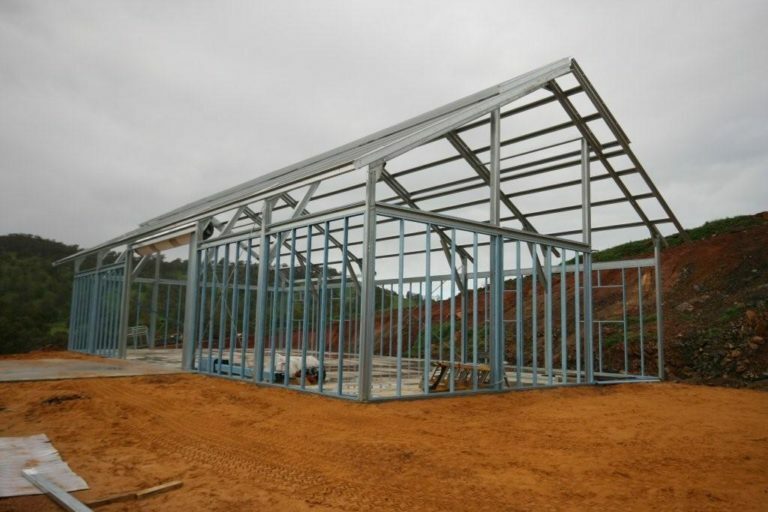 Determining the kind of land where you intend to erect your steel building is necessary to ensure the longevity of your structure as well as its foundation. In general, the conditions of the soil on the job site do not necessarily vary from one area to another. The soil grade, however, may differ largely. 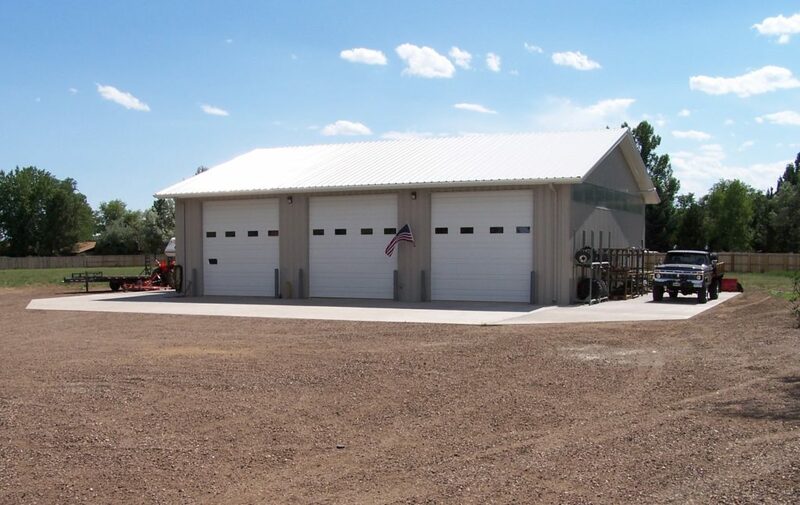 If you want to add a steel building on your property for a storage shed, for instance, make sure it is located in a properly compacted soil or prepared for the right type of foundation. Ensure too that the land is not prone to flood and other weather elements. While it may be of great advantage to have your storage shed located in a very accessible area, it may not be the best if there are natural water sources within the vicinity. Required site preparations. As you decide where to set up your new steel building, it is also high time to think about the necessary tools and labor you would be needing as you prepare the site. If you are looking at placing your structure on an existing concrete lab, chances are you would not be needing to deal with anything unless the thickness of the slab is not enough. In this case, you would probably only need a little of cleaning, sweeping or hosing away any dust or dirt. Preparation would be more challenging if the job site is a bare ground. You need to ensure the surface is smooth, firm, and leveled by removing any rock, debris, or vegetation.